Below you fill find all funeral homes and cemeteries in or near Enderlin. Their current mayor is Mayor Deon Maasjo. Zip codes in the city: 58027. Ransom County funeral flowers can be purchased from one of the local funeral shops we partner with. Some of the notable people born here have been: (t. keith glennan), and (gaylord t. gunhus). 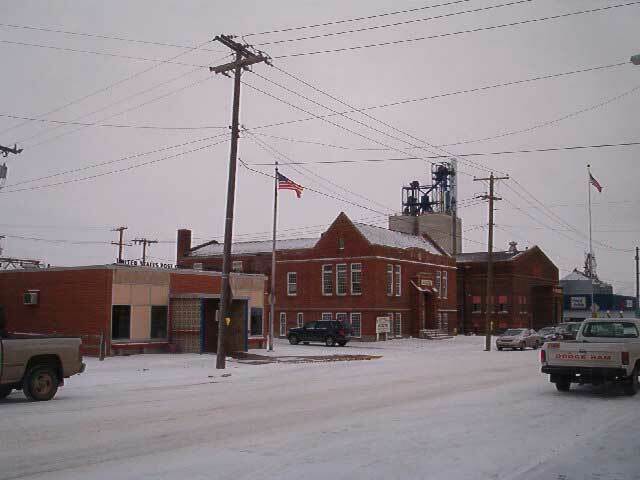 Enderlin is a city in Cass and Ransom counties in the State of North Dakota. The population was 886 at the 2010 census. It was reported by Baker City Herald on February 23rd, 2018 that Gloria J Diers (Hopperstad) died in Baker City, Oregon. Ms. Diers was 92 years old and was born in Enderlin, ND. Send flowers to express your sorrow and honor Gloria J's life. It was reported by Auburn Reporter on March 1st, 2017 that Lewis Carl Hatfield passed away in Seattle, Washington. Hatfield was 93 years old and was born in Enderlin, ND. Send flowers to share your condolences and honor Lewis Carl's life. It was disclosed by Tri-City Herald on September 25th, 2015 that George Merrill "Bud" Glaesemann passed away in Burbank, Washington. Glaesemann was 71 years old and was born in Enderlin, ND. Send flowers to express your sympathy and honor George Merrill "Bud"'s life. It was noted on September 2nd, 2015 that Esther Grant passed away in Moorhead, Minnesota. Grant was 93 years old and was born in Enderlin, ND. Send flowers to share your condolences and honor Esther's life. It was revealed by The Forum on April 29th, 2015 that Robert E Hellem passed away in Enderlin, North Dakota. Hellem was 83 years old and was born in Moorhead, MN. Send flowers to express your sympathy and honor Robert E's life. It was revealed by The Forum on April 28th, 2015 that John S Tommeraus passed on in Enderlin, North Dakota. Tommeraus was 73 years old. Send flowers to express your sympathy and honor John S's life. It was disclosed on April 23rd, 2015 that Gene Lyle Siegert died in Spokane, Washington. Siegert was 79 years old and was born in Enderlin, ND. Send flowers to express your sympathy and honor Gene Lyle's life. It was noted by The Forum on April 7th, 2015 that Irving Olson passed away in Enderlin, North Dakota. Olson was 95 years old. Send flowers to express your sorrow and honor Irving's life. It was noted by The Forum on March 9th, 2015 that Keenan L Lund passed on in Enderlin, North Dakota. Lund was 65 years old. Send flowers to express your sorrow and honor Keenan L's life. It was reported by Arkansas Democrat/Gazette on March 3rd, 2015 that Helen Berky passed on in Hot Springs, Arkansas. Berky was 88 years old and was born in Enderlin, ND. Send flowers to express your sympathy and honor Helen's life. Enderlin was founded in 1891. 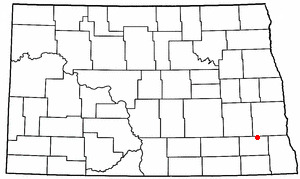 Enderlin is a city in Cass County, North Dakota and Ransom County, North Dakota counties in the US state of North Dakota. The population was 947 at the 2000 United States Census census. . . The official website for the city of Enderlin is http://enderlinnd.com/. Listing all funeral homes in Enderlin, North Dakota so you can easily send flowers to any location (same day delivery) or find any funeral service. Armstrong, Charlie - Armstrong Funeral Homes, Enderlin, ND : Reviews and maps - Yahoo! Local, 701.437.3354. Get Ratings, Reviews, Photos and more on Yahoo! Local. We work with local florists and flower shops to offer same day delivery. You will find budget sympathy flowers in Enderlin here. Our funeral flowers are cheap in price but not in value.